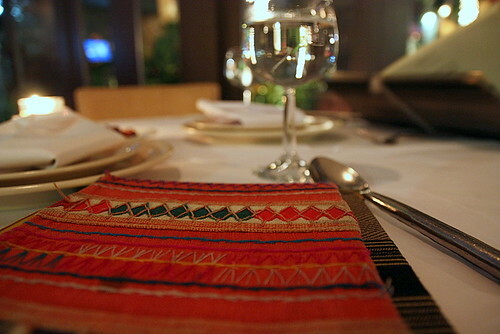 This is a much-belated review of our dinner at the Rama V on our seventh anniversary a couple weeks ago. Thanks to KampungBoy who made it home in time. There’s almost nothing in the world as sweet and romantic as my boyfriend. 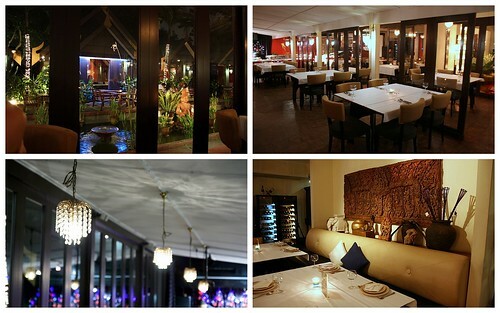 We chose to dine at Rama V, as we are looking for a taste of something different. 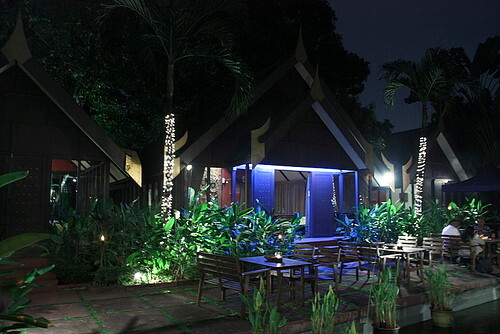 Quietly tucked away from the busy district of Kuala Lumpur, Rama V offers traditional Thai cuisine in a fine dining atmosphere. 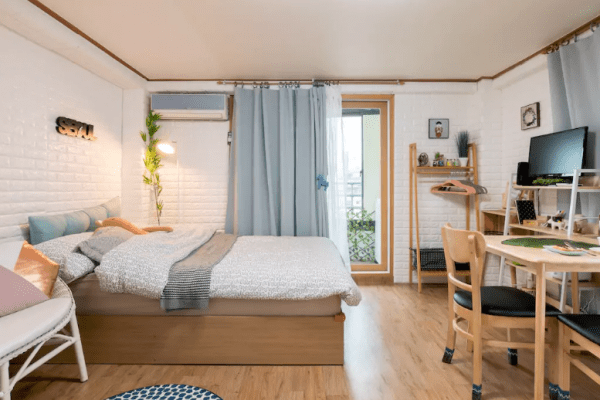 The interior is decorated with an effort towards elegance. There is some subtle Thai cultural iconography that endorses the room as well. 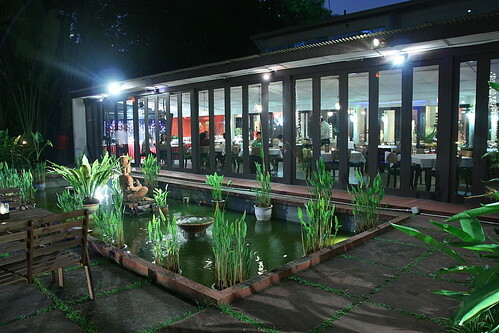 We were seated by the glass panel, overlooking the water pond which was nice for a date night. As far as the food goes, it was what you would expect from your average Thai establishment: various stir-fried options, soups, grilled items, etc. 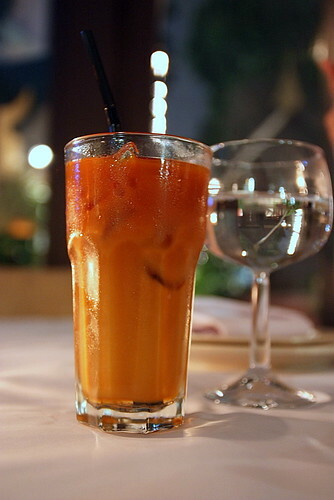 Thai Ice Tea (RM 12). My choice of drink was horrible; overly sweet with only a mild hint of tea flavour. 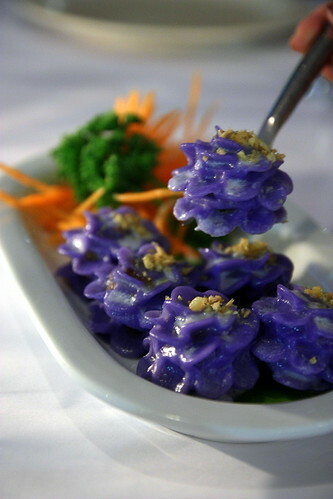 The blue colored flower shaped dumplings were beautifully presented. I loved the sweet-savory taste of the minced chicken and peanut filling but the skin was too thick and chewy for my liking. 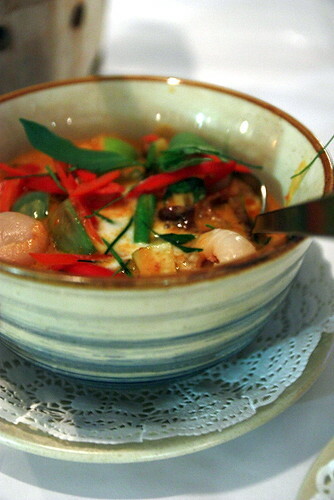 The hot and spicy tom yam soup was brimming with seafood but the ingredients were not fresh as it should be. Our order of Roast Duck Curry (RM 28) with Lychee turned out pretty good. The spiciness of the red curry, the sweetness of the lychees and the saltiness of the duck, combine to make a delicious simmering dish. 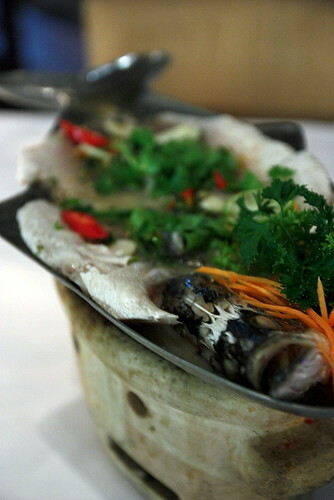 Thai Steamed Fish with Lime Juice (RM 65). 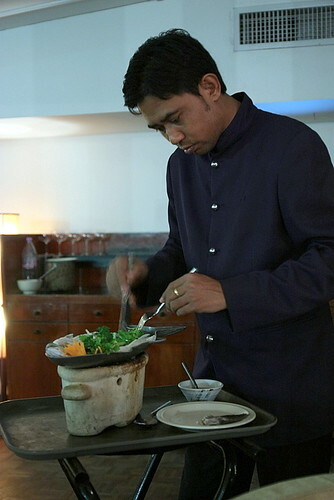 It was served over a portable furnace of smoking embers in a fish shaped metal dish. This enables the sauce to bubble away and stay warm while we eat it. 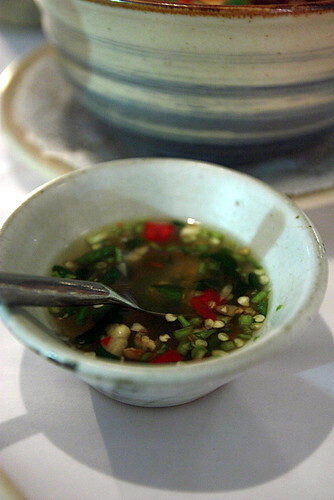 We really enjoyed the spicy, sour and tangy flavours of the soup based sauce and the fresh, succulent fish. 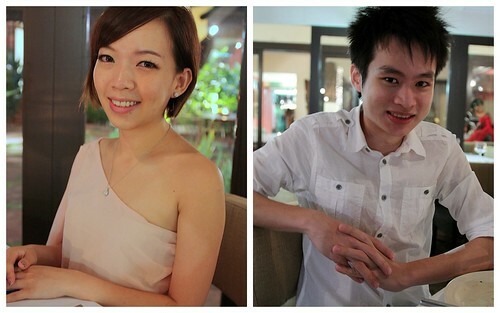 Our total damage was RM 180++, can’t complain given that it is a Thai fine dining restaurant. 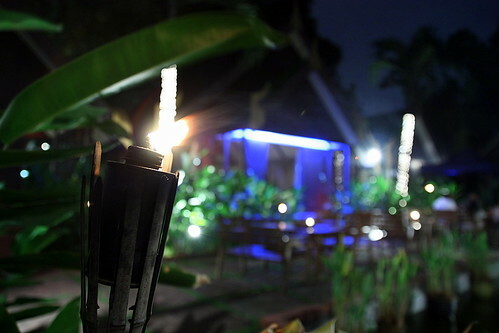 Though there is some hits and misses on the food, the low lighting and lovely decor make this a place to remember. Last but not least, I just want to take this chance to tell KampungBoy how much he means to me. Happy anniversary my love! I’m glad I found you. Always wonder how you can talk your way to win exciting prizes? Join the TALK-A-THON and you could be shopping for FREE! By making more calls, you stand a chance to win RM5,000 shopping vouchers from Topshop, Forever 21, Ikea, Celcom Blue-Cube, i-Study, etc! Unleash the shopaholic in you by making additional 3 calls a day above your July 2011 daily average. It doesn’t matter if you are a new or existing customer – the more calls you make, the bigger your chances of fulfilling that shopping fantasy! To make it sweeter, there will be 5 daily winners chosen EVERY DAY from 15th August till 30th November 2011! Find out more at www.xpax.com.my/talkathon. U can even check out the list of daily winners there! once again, happy anniversary to the sweetest couple ever! .-= ai wei´s last blog ..Chee Cheong Fun @ Restoran You Lee, Taman Connaught, Cheras =-. Happy anniversary to the both of you. The interior of the restaurant looks nice. 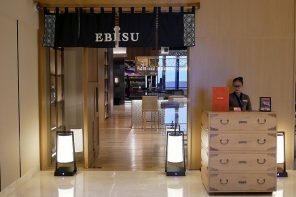 .-= Evelynwann´s last blog ..Macau Part 1 =-. Congrate on your 7th Anniversary!! Time to think about next move …he! he! Sure!! Still Young!!! depand how you define Young!! 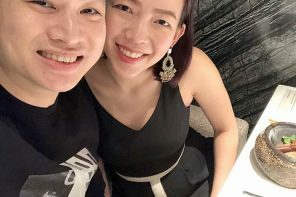 Kampungboy can claim his is young but not our pretty Ipoh girl OK!!! ….ha! ha! 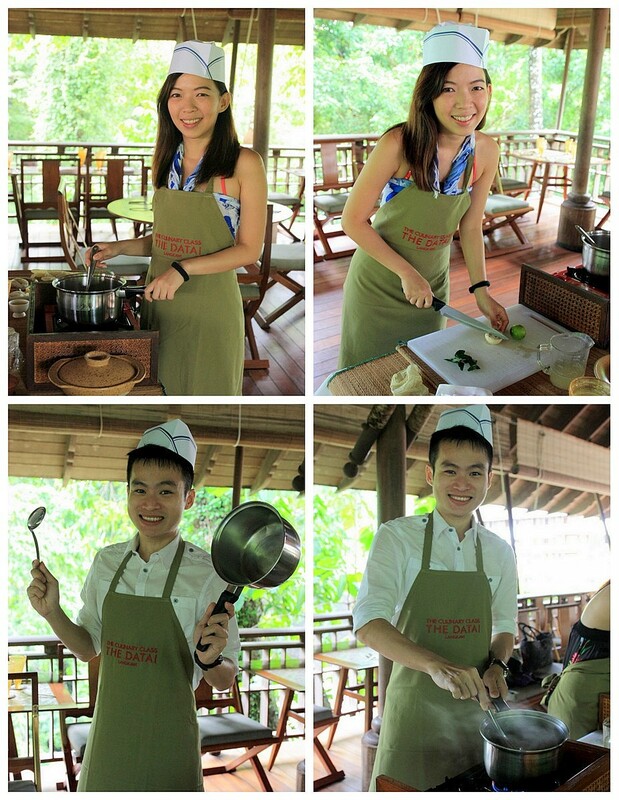 .-= KY´s last blog ..KY eats – Huen Kee claypot chicken rice =-. A case of fine dining gone wrong. Somewhere. Sometimes when we have too high expectations, the food presented might just fall flat and disappoint. I have had a similar experience at My Elephant, though not fine dining but is damn famous with the crowd. Congrats on the 7th anniversary! 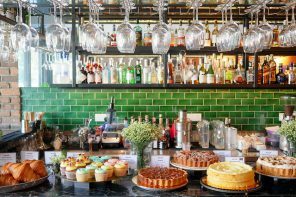 .-= Choi Yen´s last blog ..Umami Cafe =-. You guys know how to live good, and go to the right places. somehow i ended up eating in avrage places. .-= barak´s last blog ..Old Dog & New Tricks – Deaf dog tricks, step 2 (Teach good sign) =-. 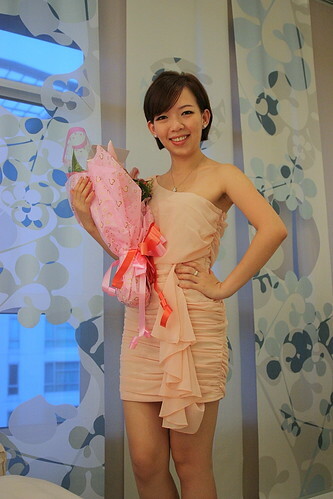 .-= iamthewitch´s last blog ..A Malaysian Chinese Wedding Ceremony =-. I interested on purple Chor Ladda , so unique! 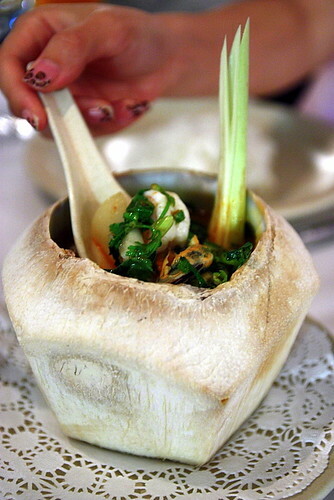 .-= 追食富地´s last blog ..Zing Offers The Finest, Traditional Pork-free Dim [email protected] Millennium Kuala Lumpur =-.